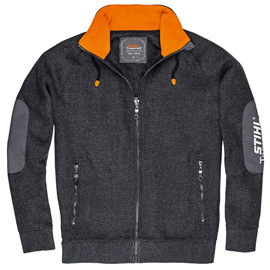 Cool knit fleece jacket in a felted wool look. Colour: anthracite. 40% acrylic, 30% wool, 30% polyester. 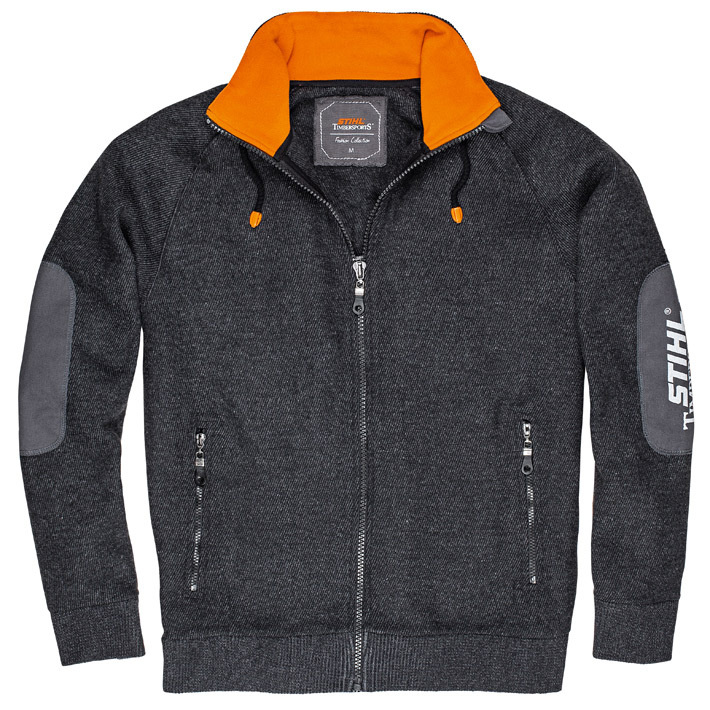 Inner collar in a contrasting colour, side pockets with zip, thick drawstrings, sleeve-patch, eye-catching STIHL® TIMBERSPORTS® logo printed on the sleeve. Sizes: XS, S, M, L, XL, XXL.